Uses: This seam is good for finishing raw edges instead of using pinking sheers. Notes: For sewing a single layer of fabric in a zig-zag stitch, loosen the tension a little bit so that the fabric isn't pulled tight and creased between the zig-zags (as you can see in this picture). Step 1: With right sides together, sew a seam with 5/8" stitch allowance (or what the pattern calls for). 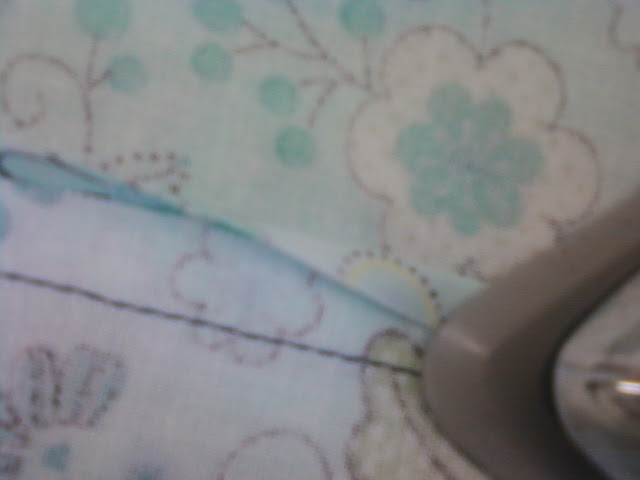 Step 2: Sew a zig-zag stitch through the middle of each seam allowance. Trim each seam allowance as close to the zig-zag stitch as possible and press. 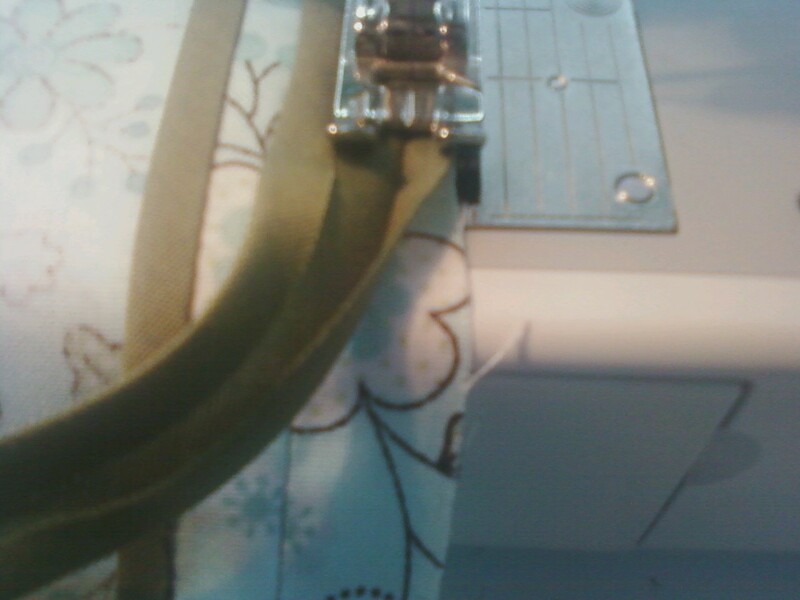 Uses: Good way to finish a seam that will not be pressed flat or where bulk is not as big of an issue, such as on pants. 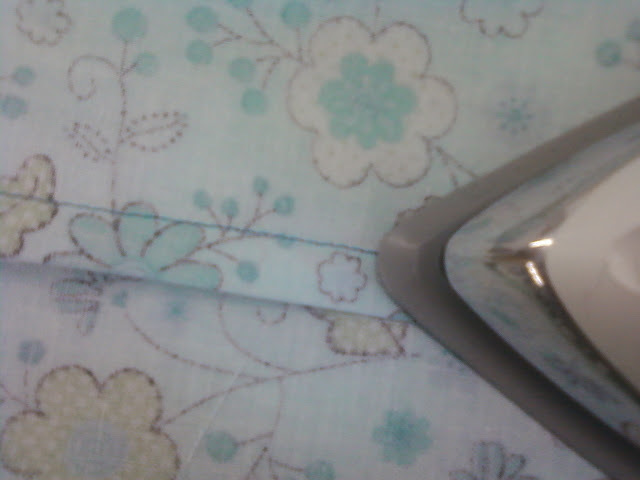 Step 2: Before pressing the seam open, hold both seam allowances together and sew one zig-zag down the middle. Press. Step 1: Sew a seam at 5/8" allowance (or what the pattern calls for) with right sides or wrong sides together (see note above). Trim one end of the seam allowance so that it is about half as wide as the other. Step 2: Fold the longer seam allowance over the shorter one. Press. Step 3: Press towards one side so that the longer seam allowance is on top and the raw edges of both allowances are hidden underneath. Step 4: Sew close to the folded edge, keeping parallel with your first seam. Uses: This is nice for leaving no raw edges on your garment--everything is turned in on itself. It is a little more bulky, so it is best for pants or garments where the bulk doesn't matter. It is also good for sheer and lightweight garments where the fabric isn't very thick to begin with but may ravel a lot. Step 1: Sew your fabric WRONG SIDES together. 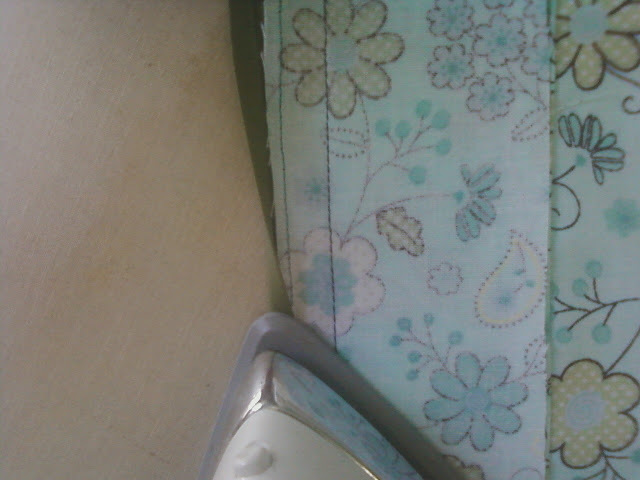 If you have 5/8" seam allowance, sew this seam at 2/8" seam allowance. Press. Step 2: Flip the fabric so that the right sides are together. Sew at 3/8" seam allowance, so that the first seam is enclosed within this one (Get it? 2/8" + 3/8" makes 5/8". This can be adjusted for different size seam allowances). Uses: This stitch can be very time consuming, so it is best used for seams that will be seen, such as the seams on the inside of a jacket that will be exposed when you set it over a chair or hang it up. 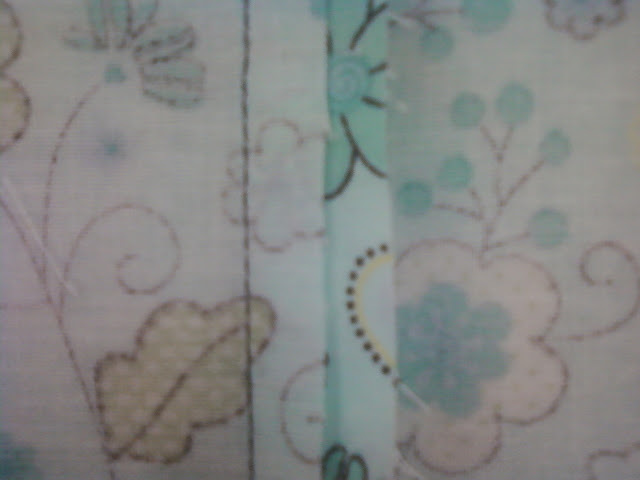 Notes: Consider using a coor- dinating color for your bias tape, or making your own out of a fun print. Step 1: Sew your seam with a 5/8" stitch allowance (or what the pattern calls for), right sides together. Press the seam open and sew the bias tape to one of the seam allowances, right sides together. Step 2: Flip your seam allowance over, folding your bias tape over the raw edge. Make sure that you do not unfold the bias tape while you do this, so that the raw edge stays tucked underneath. 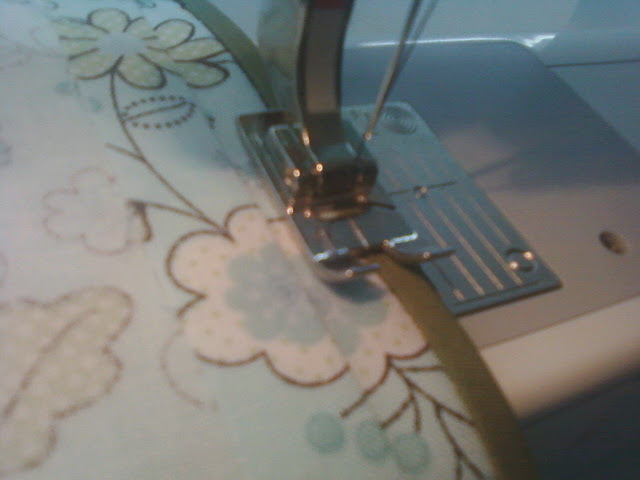 Press so that the bias tape completely covers the stitch line that you just made. The farther the bias tape covers the stitch line the better. Step 3: Flip the seam allowance back over. Stitch "in the ditch," or where the bias tape meets the seam allowance. If you have done the steps above correctly, this should catch the bias tape on the other side, holding it in place, while looking nice and neat on the side that you are stitching on. Step 4: Repeat on the other seam allowance. Variations: Instead of sewing in the ditch, sew a decorative or zig-zag stitch, either along the ditch (left) or right on top of the bias tape (pictured at right). This is easier than sewing in the ditch and trying to catch the bias tape on the under side, and is still fun and decorative.